In addition to residing in the state since 1978 criteria, the state government said it will only consider Rs 8 lakh annual income cap and not take into account land and house ownership criteria for providing 10 per cent reservation to candidates. 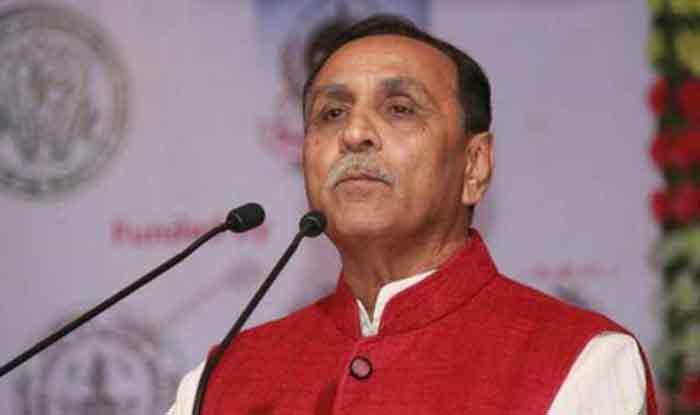 Ahmedabad: Vijay Rupani-led government in Gujarat said that those who have settled in the state after 1978 will not be eligible for the 10 per cent quota to the poor in the general category. Gujarat, which was the first state in the country to implement the reservation for the economically weaker sections (EWS) in the general category, announced that in order to avail the benefit, people must fulfil the above-mentioned criteria. Patel made it clear that the state government will not consider aspects like agricultural landholding or house ownership while deciding the qualification for the reservation. “The Centre has set annual income of less than Rs 8 lakh along with criteria such as the family owning less than five-acre farmland and having less than 1,000 sq feet house in a town or 100 sq yard house in the notified municipal area for availing the EWS reservation benefits, ” he said. He also announced that 33 per cent seats for women will be reserved within the 10 per cent EWS quota for the general category. The Gujarat government’s move has been opposed by the Congress and people from other states, who are now residing in the state. Gujarat Congress spokesperson Manish Doshi said there was no need to introduce this criterion as the domicile rule is already in place, wherein a person qualifies to be a domicile of the state if he is either born here or has been living for over 10 years. Meanwhile, Maheshsingh Kushwah, president of Uttar Bharatiya Vikas Parishad, term the move as an “injustice” to those who have been living in Gujarat for four decades. “Forty-one years is a very long period. Many who came before 1978 might have already died. This is an injustice to us. What about those who came here and settled permanently 20, 30 or even 40 years back? Why they have they not been included? This criterion should be 10 years,” said Kushwah. “We will discuss this issue among ourselves and make a representation to the state government seeking relaxation in this new rule,” he added. Apparently, the move is aimed at giving preference to Gujaratis in education and jobs and protecting their interests.